Celebrated designer, Nida Azwer, is among the six fashion houses from across India and Pakistan, to be showcasing her latest collection and interacting with the UK public at Faisana Fashion Weekend, 2 and 3 May, Mayfair Hotel, London. Nida Azwer has been designing and working in fashion under the aegis of her eponymous label since 2005, only one month after she graduated from the prestigious Indus Valley School of Art & Architecture. Her label includes prêt a porter, haute couture and bridal lines. Nida herself was nominated for the coveted Lux Style Award for Best Emerging Talent in 2008 and won the Best Designer Award at the Nesvita Women of Strength Awards in 2009. The same year, she held her debut solo show in Karachi, featuring both prêt a porter and haute couture to the acclaim of press and industry stalwarts alike. Nida Azwer’s atelier has come to be recognised for the designer’s love of more classic and vintage design elements infused with traditional crafts such as ‘tukri ka kaam’, ‘rilli’, ‘kantha’, ‘zardozi’ and ‘miniature embroidery’ worked into contemporary fashion. 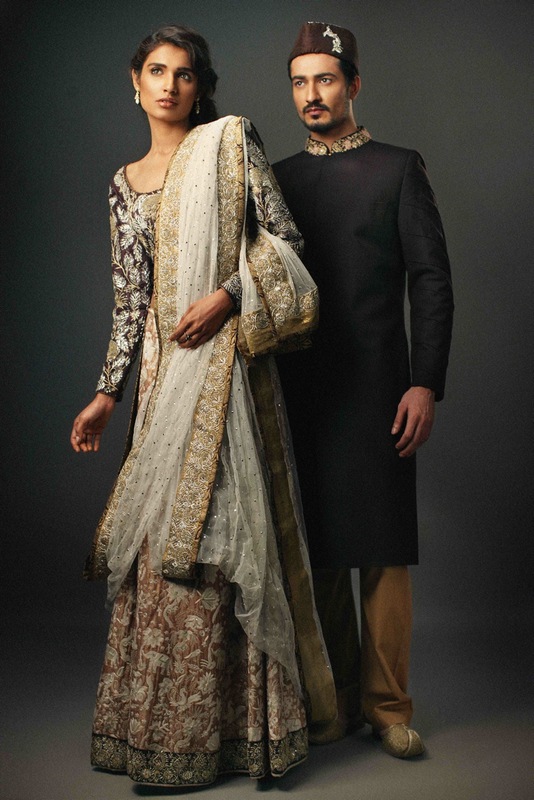 All clothing and apparel created under the Nida Azwer label is meticulously handworked in Pakistan using only pure fabrics including Irish linen, chiffons, hand-woven silks and brocade. The atelier is best known for infusing designs with attention to detail, innovative cuts, silhouettes and tailoring. Influencers on the South Asian fashion landscape, Aamna & Aisha and Radhika Hasan, bring to the Capital a UK exclusive with Faisana Fashion Weekend, which curates and presents for the very first time together on one international platform three of India and three of Pakistan’s most celebrated designers – Anita Dongre, Rina Dhaka and Bhairavi Jaikishan (India); and Umar Sayeed, Nida Azwer and Sania Maskatiya (Pakistan). The two-day event at Mayfair Hotel will launch with an exclusive Champagne, Canapés and Couture evening on 2 May, 7-9.30pm in Mayfair Hotel’s Crystal Room, where guests will preview the latest collections from all participating designers, introduced by the designers themselves. The evening will be interspersed with a runway show and classical dance performance by celebrated Kathak dancer Fasih ur Rahman of the Akademi institute. A free to attend, open exhibition, The Grand Trunk Show, will follow on 3 May, 12-7pm, showcasing a wide range of pret and couture from the designers’ latest collections for the general public, again hosted by the designers themselves. Visit faisanaweekend.com for further details.